This succinct command is quickly followed by a sweeping description of the impotent mind of the Gentiles in contrast to the utterly changed condition of the believer. The Gentiles have a darkened perceptive ability, rendering them alienated because of the “ignorance that is in them” and an overall “blindness of their heart” that is the root cause of their inability to function, even to feel, in the same way as the children of God (Ephesians 4:18-19; compare Romans 1:21-32 and 2 Corinthians 4:3-4). However, the saint of God is told to discard the “old man” and to “put on the new man” (Ephesians 4:20-24)—as though that simple picture of a powerful reality is adequate instruction to fulfill the earlier command. No longer is the child of God to be “corrupt” by the “deceitful lusts” of their old condition, but having “learned Christ” and “been taught by him,” the saint is to “be renewed in the spirit of [their] mind.” A transformation is now possible through the new mental (intellectual, spiritual) abilities given to us by Christ (Romans 12:1-2; 1 Corinthians 2:16). We are responsible to wear the new man like a body-enveloping cloak, created for us by the omniscient Creator “in righteousness and true holiness.” Don’t miss this! We have been given a specially created new man to wear (externally visible) that will show (exhibit, demonstrate, make clear) the spiritual difference between the Gentiles and the saints of God. 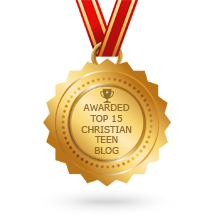 This entry was posted in A CLICK A BLESSING TODAY, CHRISTIAN NUGGETS and tagged Your New Expectations. Bookmark the permalink.